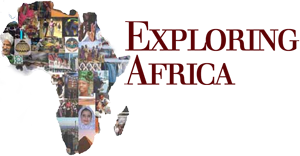 The MSU African Studies Center is a National Resource Center for the study of Africa (Title VI Center) that mandates the Center to actively engage the K-12 community in promoting the study of Africa. In addition, the Center is a unit of Michigan State University, the oldest Land Grant university in the U.S., that takes seriously its charge to share knowledge with educational communities locally, regionally and nationally. In the spirit of this dual mandate, the ASC and its faculty has a long tradition of working with the K-12 community (students and teachers). Exploring Africa is a commitment to work with and share high quality curricular materials with this important community in a more comprehensive and systematic manner.